Every day we keep adding another day to our lives and we grow older per day. With growing age, there come difficulties which you have to face each and every day. When we are children we only want to eat chocolates, Ice creams and want that from our parents and grandparents every day. As we become teenagers we sought some other stuff which makes us cool and gives us an instant recognition amongst our peers. As our bodies makes way towards the adulthood we come across various physical problems that we were unknown about earlier. Amongst the most popular is the problem of pimples which happens to both males and females during that age. We become aware our skin types and various other body functions as we continue to be under a lot of pressure to look beautiful and smart all the time. We all want to be stylish during that time of growing years as we are still teenagers and life is full of roses and no thorns. I too had my share of these difficulties and I continue to suffer the same because my skin is very oily. My face keeps catching all the dust and pollution because of excess oil on the skin. My mother told me to wash my face again and again but it could only solve problem for some time. My grandmother told me that my stomach is not clean and I should eat a lot of veggies/salad to create a lot of fiber so that it helps. I did take her advice and it helped initially but with growing age we eat a lot of non-fibrous food like pizza, burgers etc all the time. My aunt told me to use multani mitti with milk and it really felt great to use the same but the effect was there for a day or two. Everyone in the family had ideas and advises which didn’t seem to give me a permanent solution. TV was full of advertisements launching various products which help teenagers free from pimples and truly speaking I bought all of them from time to time. 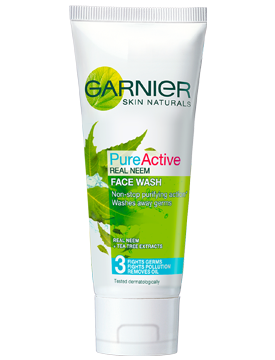 I had to save a lot of pocket money to buy those face wash and expensive products but then also some products did help but the problem remained. Oily skin is the most difficult to tackle and is the ultimate test for any new product launch. I really loved myself a lot and continued to invest all of my time to look smart so that one day some girl will fall in love with me. At that young age, being a fan of Mithun, Govinda and Rishi Kapoor I wanted to be like them wooing every girl everywhere I went. As I came out of my age, the tension and stress of job and family responsibilities took all the time as I started to think less about my skin and worked hard to earn a living. In the air-conditioned environment of office/car/home the oily skin is tackled by itself as there is no direct contact with dust and pollution but then it created a lot of black heads and caused a lot of distress to my smart face. (Photographs used here are from these websites only) I hope that you don't face the same problems & experimentation I faced and use the right product to keep your skin clear and pure.